Angela and Jarryd's beautiful spring wedding took us all over downtown Knoxville, beginning at the always iconic and charming Oliver Hotel. We love the windows covered with white shutters in the historic hotel just around the corner from Knoxville's main square, and we decided to do an indoor first look along the stairwells lit by natural light from the large windows. 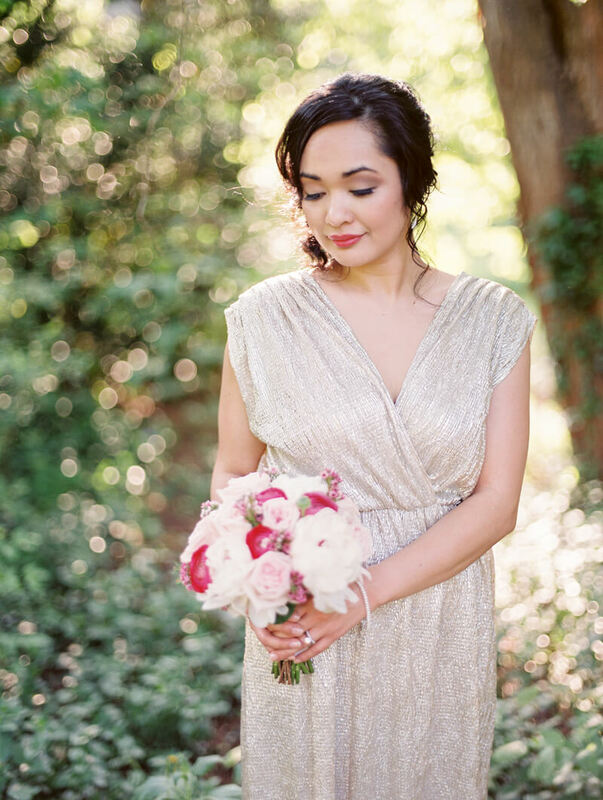 Angela chose a non-traditional Grecian inspired silver gown, and we adored the pops of bright pink in her invitations, flowers, and even her lipstick. 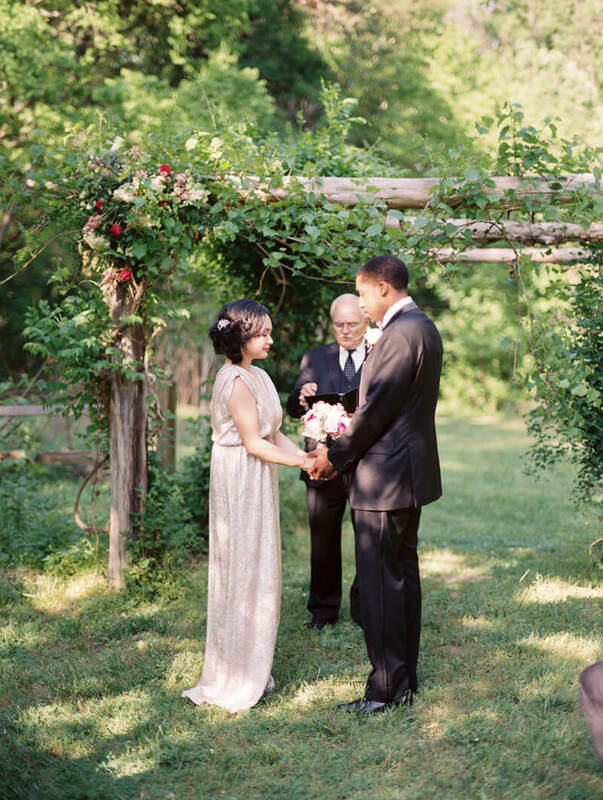 The intimate outdoor ceremony took place at Ijams Nature Center under the floral covered arbor in a self-described "low-key" ceremony surrounded by family. Ijams always feels like a forest getaway with lush greenery and secret nooks for romantic couple's photos. The two walked down the aisle together, which we thought was super unique and the perfect way to show their commitment to each other. 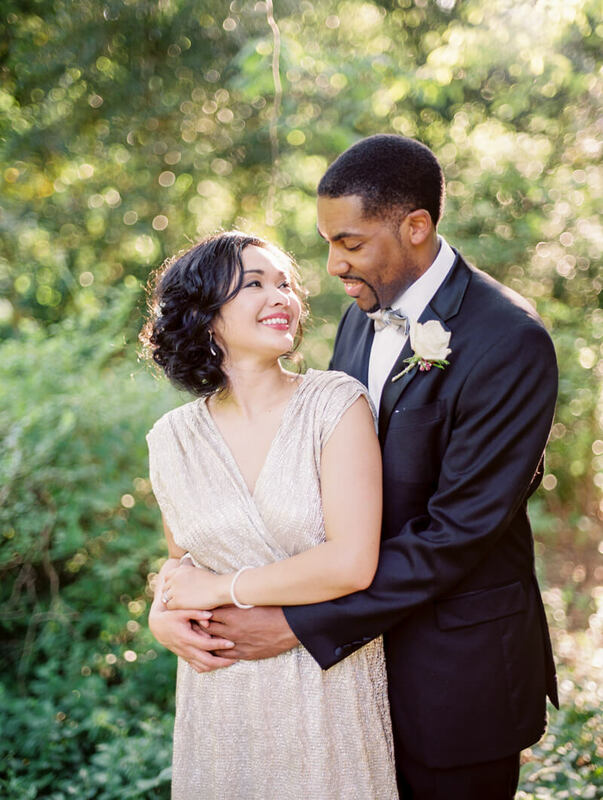 These two were all smiles throughout the ceremony, despite the unseasonably warm day, and we loved how playful they were with one another as we asked them chat about their relationship during some sweet couple's shots. The final leg of the wedding day took us to Ruth's Chris Steak House where the couple had their reception. With delicious food and a downtown vibe, Ruth's Chris also has an amazing terrace available for such events that overlooks the remainder of Volunteer Landing and the Tennessee River. Adorable popcorn favors with Tennessee shaped chocolates were gifts for guests, a perfect combo of a sweet and salty treat for favors. 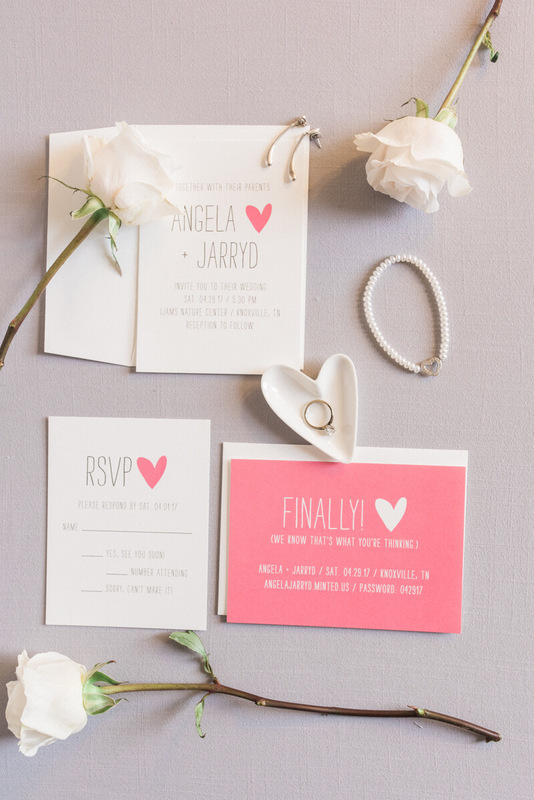 These two were all about having a casual wedding that was family oriented, but their big day was uniquely Angela and Jarryd with non-traditional details and endearing interactions with one another. We are so glad that they chose us to capture these moments for them, and we wish them all the best as Mr. and Mrs.